Accessorize in style with the Disney Princess Hair Backpack! 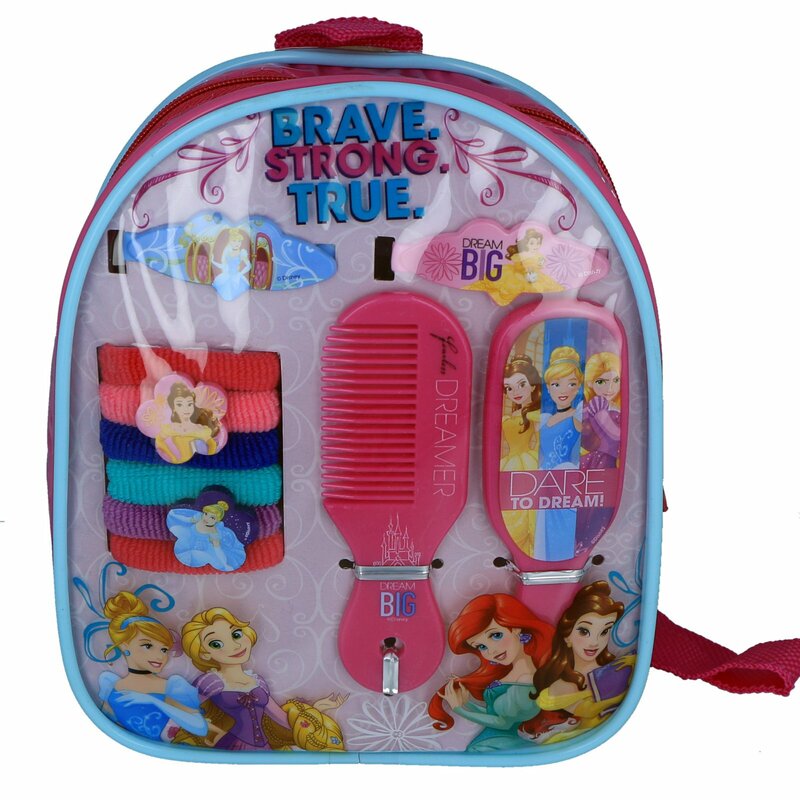 This pink backpack comes with Princess-themed hair accessories including a comb, mirror, hair ponies and clips! Accessorize in style with the Disney Princesses Hair Backpack! This cute backpack comes with everything a girl needs to dress her hair up in style - a mirror, comb, hair ponies and barrettes. The backpack is constructed of durable PVC material, making it ideal for indoor or outdoor use. Girls will love being able to bring their hair accessories with them to school, on road trips or to sleepovers! 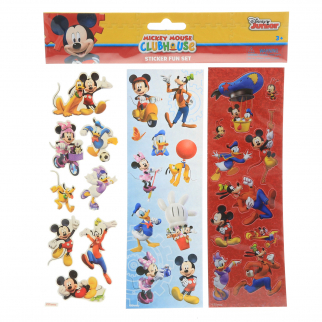 The backpack is see through once the cardboard inserts are removed, so kids will easily be able to locate their items inside. The front even features some of everyone's favorite Disney princesses - Cinderella, Rapunzel, Ariel and Belle! This backpack comes with adjustable straps and a durable zip closure to keep items safe when not in use. This is a great gift idea for young girls and Disney Princess fans! 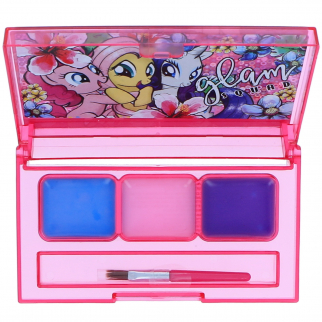 Dimensions: 7.25" x 6" x 2.5"
My Little Pony Glam Squad Girls Lip Gloss Compact Kids Make Up Cosmetic Gift Set $ 6.99	• 46% off! 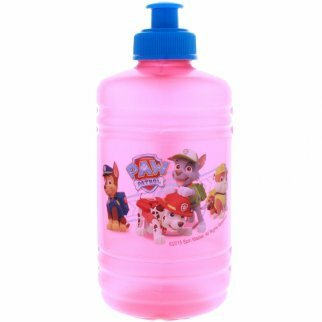 Nickelodeon Paw Patrol Portable Water Jug 16 oz $ 6.99	• 51% off!